Hey guys, here is the video I promised. I play along with some backing tracks for a while, they sounded perfectly balanced while I was jamming but the camera didn't pick up the tracks quiet as well as I had thought. Through good speakers it comes through much better than the computer speakers. 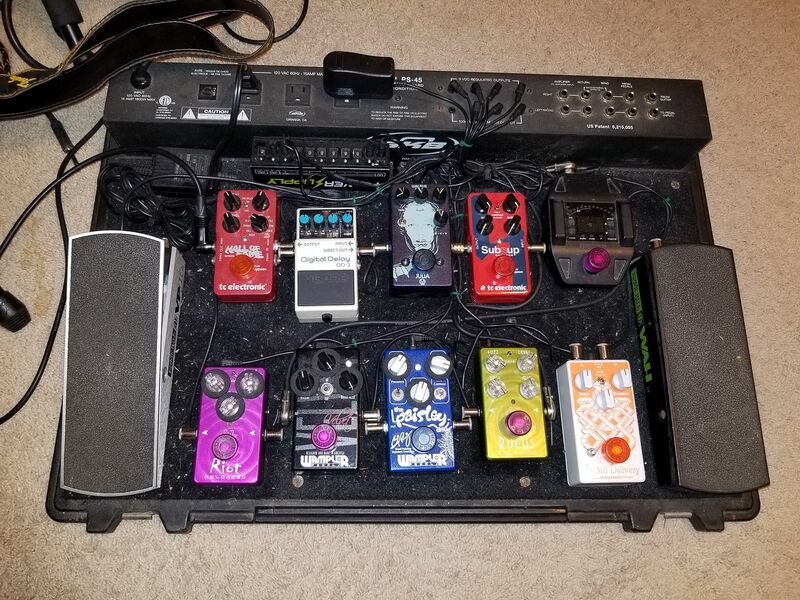 This is my pedal board that I use. Video time with the ReWind PAF set, it's a bit long & I hope my noodling isn't too bad lol. That is awesome! Thanks for sharing that. I can see you were enjoying jamming with those. That's the whole goal behind all of this. If I can make instruments more enjoyable and inspiring for people to play on, I help more people make more music and make our world just a little bit better of a place for folks. Even though the gain and the camera mic, I can tell the pickups have made your instrument more articulate and detailed, with greater string separation. ...I think while simultaneously adding some more harmonic richness and a vocal midrange, as well. Finally had a chance to throw some sloppy blues together. The PG mod is interesting. It really has a strat like feel to it. Good stuff, but wait around until about 1:10 when I go full bridge. That is a glorious sound! Sounds awesome, man! I think you did a fantastic job showing off what the PG mod sounds like. How does the neck sound on its own? Is the balance with the bridge good in your guitar? Thanks! It's honestly the best neck pickup I've ever played through. Not a hint of mud. Sounds amazing. Thanks again!